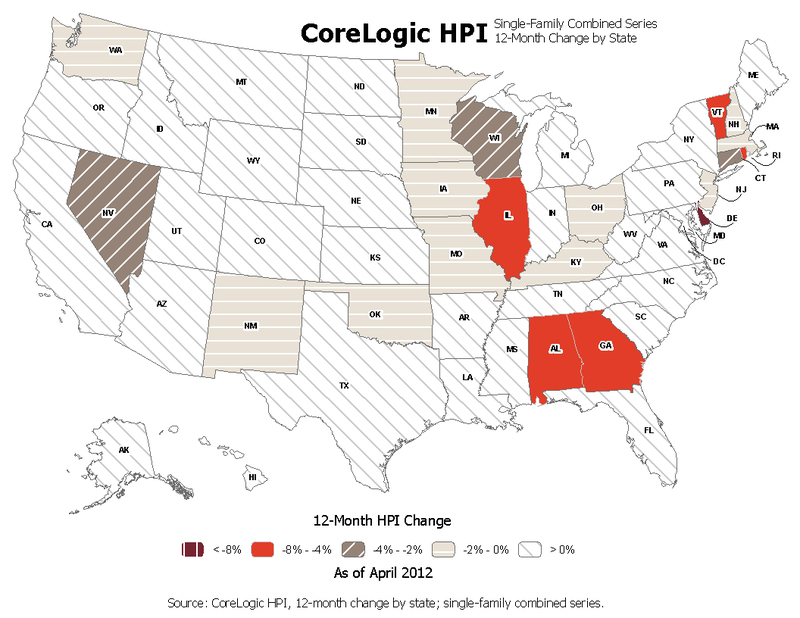 Including distressed sales, CoreLogic’s widely followed Home Price Index (HPI) showed a 2.2% increase from March to April for nationwide home prices. 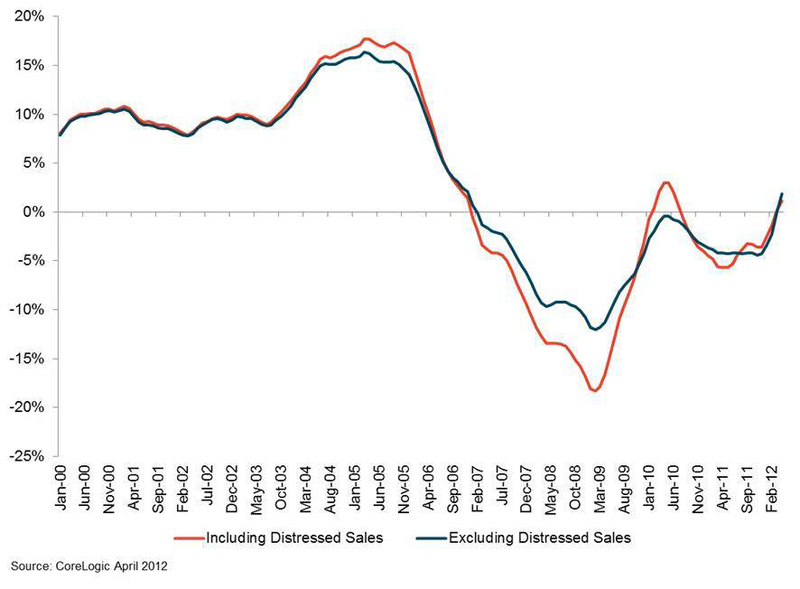 Excluding distressed sales, the increase was 2.6%. Those are healthy gains even after the reminder that these numbers are not adjusted for seasonality and that home prices month-to-month are generally more robust through the late spring and summer, and much less robust in the fall and winter. More importantly, in year-over-year comparisons, CoreLogic saw an increase of 1.1% in home prices in April 2012 compared to April 2011. That includes distressed sales. And that’s just another indication that we have finally hit bottom in terms of home prices nationally. But some states and cities are obviously in better shape than in others. Including distressed sales, the five states with the greatest depreciation were: Delaware (-11.9 percent), Illinois (-6.8 percent), Alabama (-6.6 percent), Rhode Island (-6.2 percent), and Georgia (-5.6 percent). And here’s the year-over-year change in percentage terms — the brief positive turn in the CoreLogic HPI two years ago was because of the homebuyer tax credits. Some analysts have been predicting the bottom for house prices for years now, but it really might be here, finally.